Provide comfort for the family of Harriet Capuano-Brockman with a meaningful gesture of sympathy. Harriet Capuano Brockman, 75, passed away after courageously battling cancer Sunday, December 16, 2018. 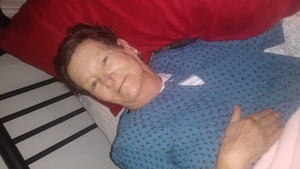 She is preceded in death by her husband of 54 years, Donald Brockman, her parents, Ruth and George Capuano, and her brother, George Capuano Jr. She was born and raised in San Diego, California, where she met her loving husband. She is survived by her four loving children, Colley Singer and husband David, Carol Smith-Casey and husband Benny, Harriet Pilgrim and husband Jon, and Daniel Brockman. 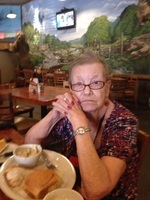 She was the much loved "Memar" to her grandchildren, Travis Elrod, Traci Ann Elrod, David Smith III., Stephen Smith, Stefanie Smith, Max Singer, and Sara Singer. She was so very proud of her great grandchildren, Grace Ann Banuelos, Reilly Smith, Hayden Smith, Kelsea Smith, Jacob Elrod, Hank Smith, Maci Smith, Jacob Smith, Abby Smith, and Benjamin Singer. She retired from Dear Park School District, where she devoted 27 years as a bus driver. She was beloved by all her kids who referred to as, “Mrs. B”. She was also a foster mother, Girl Scout leader, softball coach, and the neighborhood mom to those who needed her. Above all, her most fulfilling role in her life, was to be a mother. There was no sacrifice she wouldn’t make to provide for her family or a child in need. 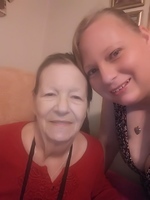 The last year and a half of her life was truly a blessing she spent making memories with her family; She enjoyed doing many things on her Bucket List, including going on a vacation to Graceland with her daughters. The family would like to personally thank Jazmin Audirsch for the love, friendship, and care she provided to our mother. 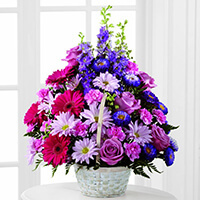 To send flowers in memory of Harriet Prescott Capuano-Brockman, please visit our Heartfelt Sympathies Store. Michael Lukee sent flowers to the family of Harriet Prescott Capuano-Brockman. I am very grateful for all the love, you gave me over the years. Michael Lukee purchased the The FTD Pastel Peace Basket for the family of Harriet Capuano-Brockman.